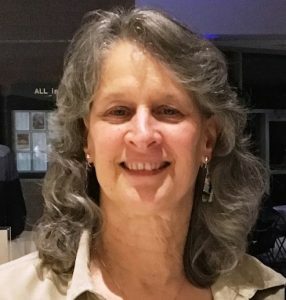 Dr. Karin R. Schwartz is a conservation biologist with over 20 years of experience in data management processes as applied to conservation within zoological institutions as well as for field research for endangered species. She holds a M.Sc. in animal behavior from the University of Missouri – St. Louis where she studied individual recognition through olfactory communication in prairie voles. She recently completed a Ph.D. in conservation biology at George Mason University where she worked on research to link in situ and ex situ data management processes for endangered species recovery programs through the use of Species360 Zoological Information Management System. As Registrar at the Milwaukee County Zoo, she initiated and led the development of Association of Zoos and Aquariums (AZA) records-training programs for use of Species360 software and continues to act as co-administrator of the Institutional Records-Keeping Course which is taught as part of the AZA Professional Training Schools. She has taken this course on the road for capacity building to other zoo regions, holding sessions for the 10th Congress of Asociación Latinoamericana de Parques Zoológicos, Acuarios y Afínes (ALPZA) in Buenos Aires, Argentina, South Asian Zoo Association for Regional Cooperation for their SAZARC/RSG meeting in Coimbatore, India and the Korean Association of Zoos and Aquariums in Seoul, S. Korea. Within the AZA community, Karin has extensive experience with population management and records-keeping as well as serving on Animal Data Information Systems Committee, Field Conservation Committee and Institutional Data Management Advisory Group. She has been involved in an advisory capacity to AZA population management programs as Registrar Advisor for the Tapir Taxon Advisory Group (TAG), Monotreme and Marsupial TAG, Cheetah Species Survival Plan® (SSP®), and Matschie’s Tree Kangaroo SSP®. In working at zoological institutions, she realized the necessity of collaboration with and participation in IUCN/Species Survival Commission Specialist Groups for effective conservation action. As Registrar Advisor for the AZA Tapir TAG, she became involved with the Tapir Specialist Group which effectively integrates in situ and ex situ specialists into holistic conservation action for tapirs. She contributed to conservation action planning through work on the Tapir Specialist Group Strategic Plan 2008 – 2010, on the CBSG team to facilitate the Western Pond Turtle Population and Habitat Viability Assessment, and as a reviewer for the Re-introduction Specialist Group’s Guidelines for Re-introductions and Other Translocations (2013). Karin has long been involved with cheetah conservation as a Registrar advisor to the AZA Cheetah SSP® and specifically with the Cheetah Conservation Fund (CCF) through her assistance with the International Cheetah Studbook, involvement in records training for CCF international and Namibian staff, and as an author for a chapter discussing the conservation importance of ex situ cheetah populations for an upcoming book on cheetah conservation and science. Recently, she was the Intern Research Coordinator at CCF in Namibia, overseeing intern duties for cheetah and dog care and records-keeping as well as for intern involvement in CCF’s Ecology Department programs.